Trading Strategy: Investing for the first time in the stock market is very overwhelming; even if it is done with virtual money. I’ll start saying that implementing a strategy takes a lot of practice and patience. You must begin understanding some of the “tools” and “terms” involved. Without this basic knowledge, it is difficult -if not impossible- to practice your new skills properly. 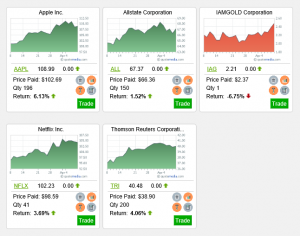 At first I didn’t know where to start, so I decided to see the most active stocks and the biggest gainers, because I believe that learning from the best stock market winners can guide me to tomorrow’s leaders. After I had some training ideas, I decided to do a fundamental analysis. I looked carefully at a company’s earnings, earnings growth, sales, profit margins, and return on equity among other things. Doing this analysis definitely helped me to narrow down my choices. I always like to keep in mind some great clichés “The trend is your friend”, “buy low and sell high” and “buy high and sell higher”. When I had a couple of stocks ready to trade, I made sure they where diversified and they where from the leading industry groups or sectors. I noticed that the majority of past market leaders were in the top industry groups and sectors. 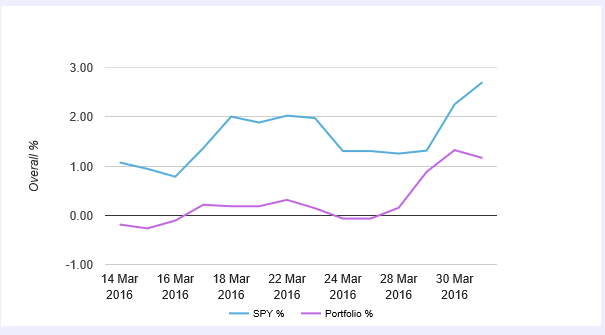 Another strategy that I used was to track the general market given that most stocks usually follow the trend of the general market. The general market is represented by leading market indices like the S&P500, Dow Jones Industrials, and the NASDAQ Composite. When I had my portfolio ready, this was just the beginning. 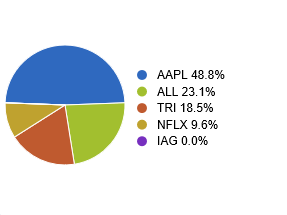 Even though I didn’t check my portfolio every 2 hours or every single day, at least 3 times a week, I read the latest news about the stocks I bought and about the market in general. After that, I also checked the chart price and volume action, this helped me recognize when a stock has reached its top and It helped me decide if I should sell my stock or not. Finally, I always made a post-analysis of my stock market trades. That way I could learn from my successes and mistakes.